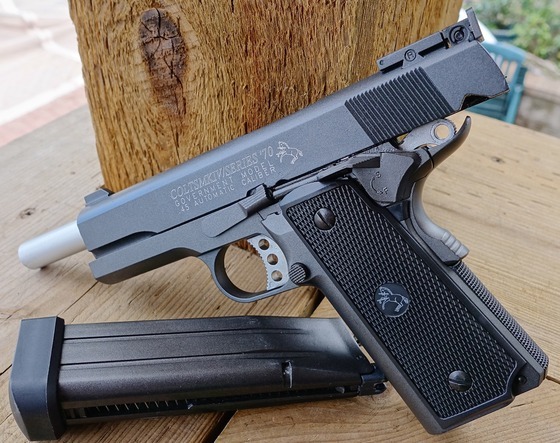 Yes this is mainly an Airguns and blank gun website but every time I post something regarding my 22LR Firearms, I get lots of great feedback and it seems airguners are also into the small caliber firearms for many of the same reasons... cheaper to buy and shoot, can also shot them in more locations. 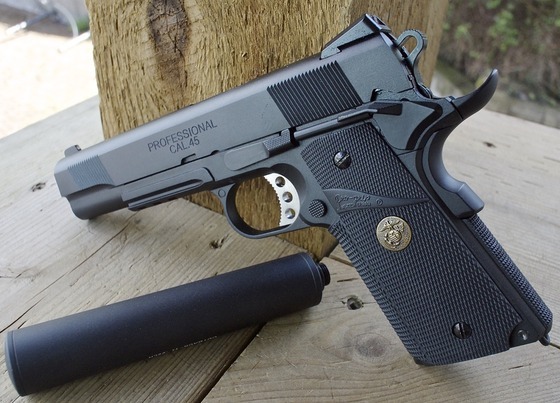 Less recoil means less fatigue at the end of the day too. 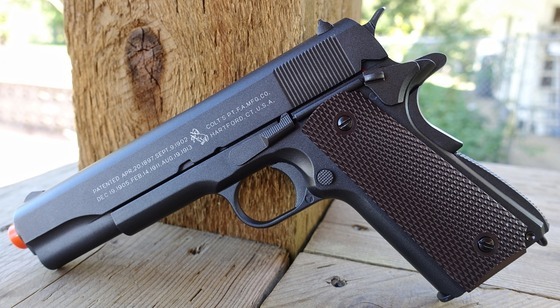 I don't have much to tell you about my recently purchased Chiappa 1911-22 Tactical 22LR semi auto pistol but I will be doing a review on it down the road just a bit so stay tuned. 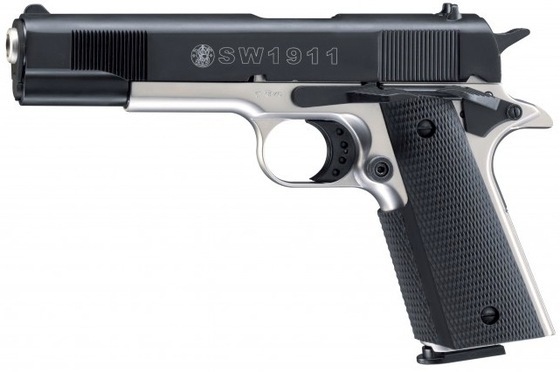 So far it looks pretty nice and has the size and weight of a 1911 45. 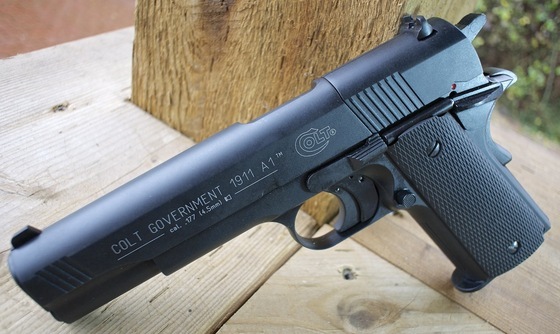 Model:Colt Government 1911 A1 Nickel. 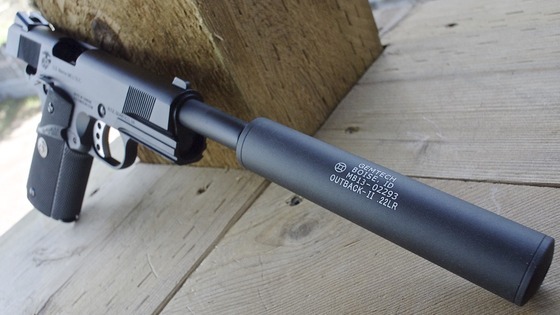 Barrel: 5 inches, metal rifled. 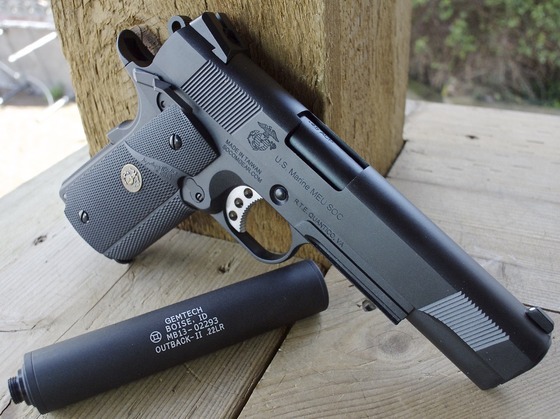 Ammunition Capacity: 8 rotary magazine. 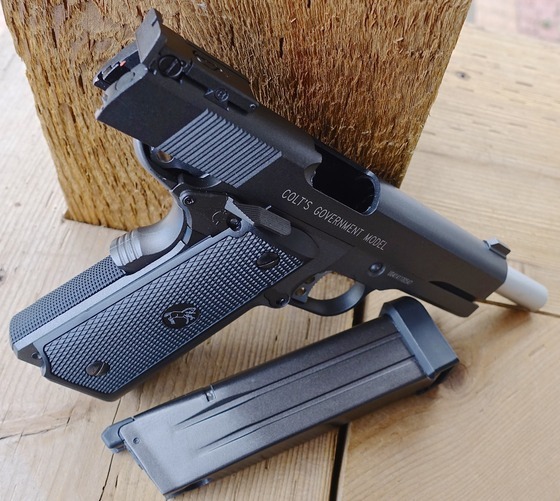 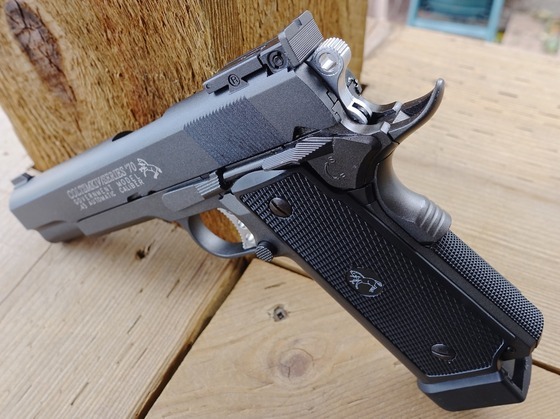 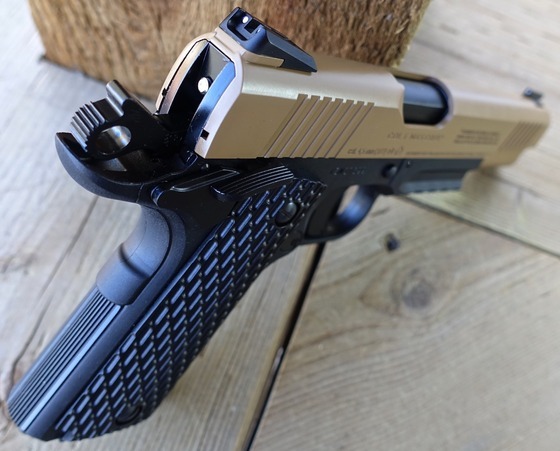 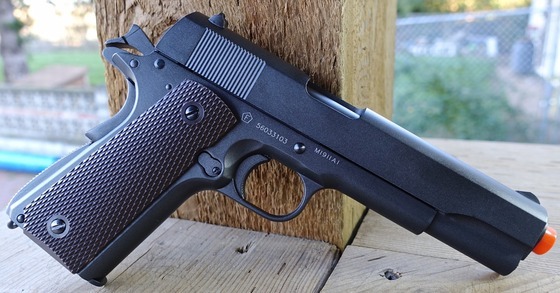 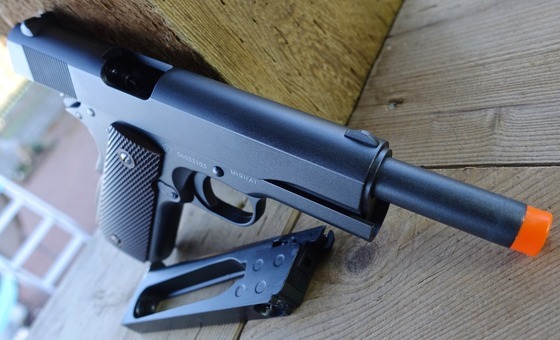 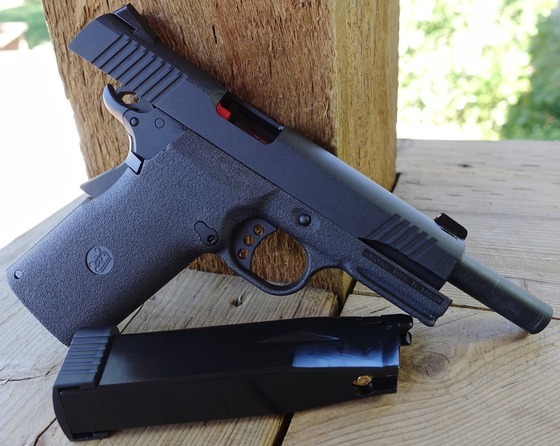 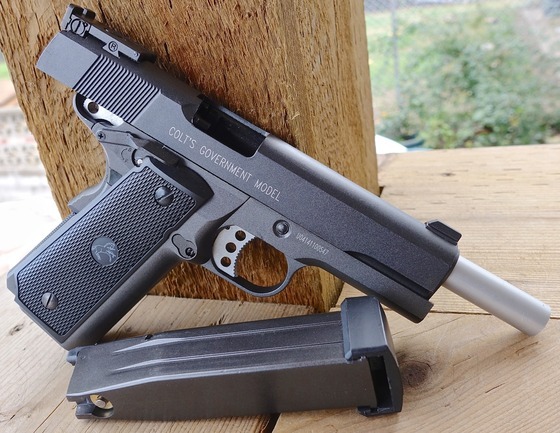 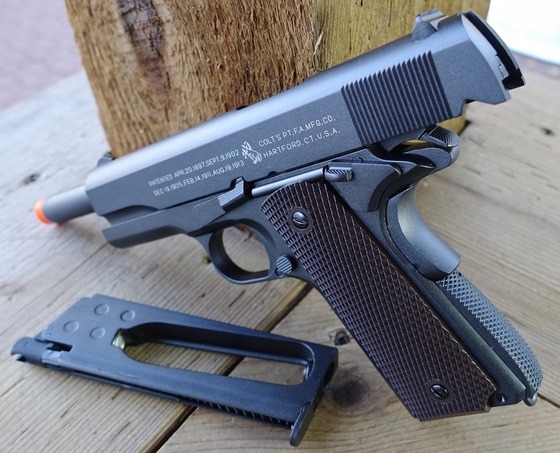 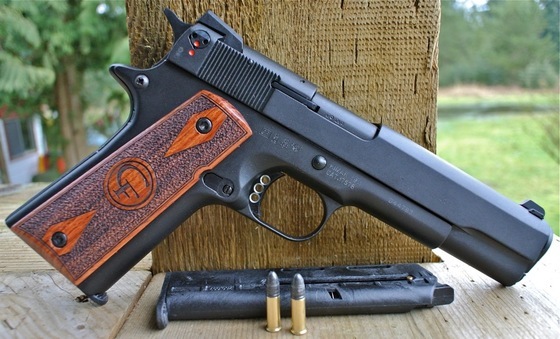 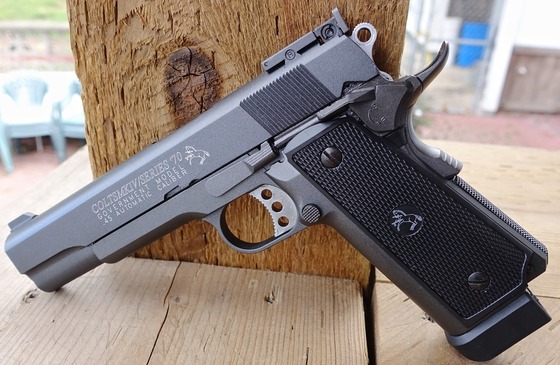 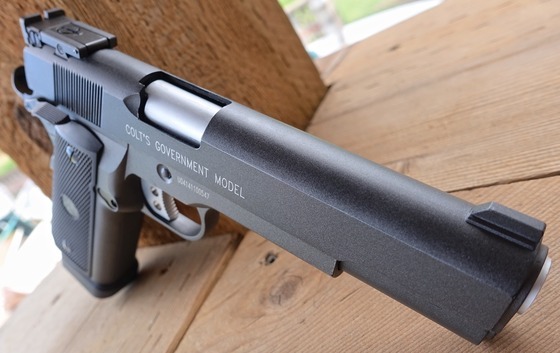 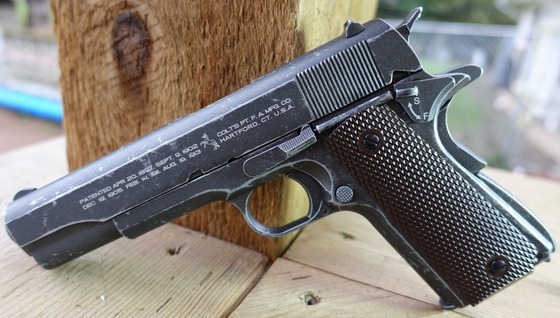 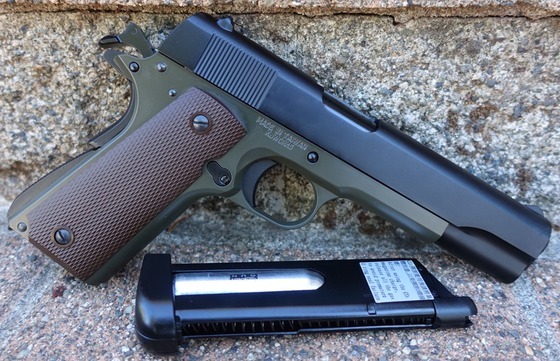 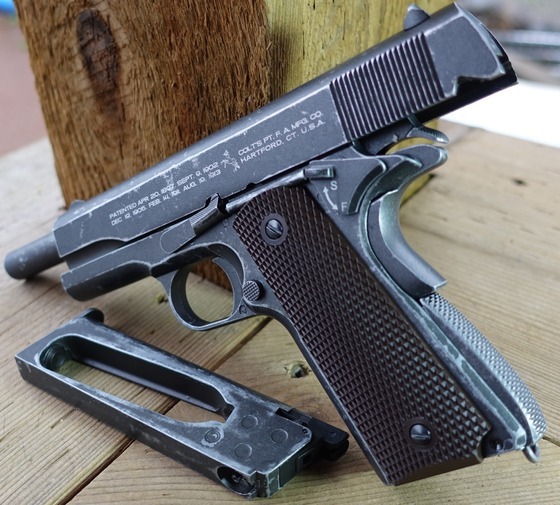 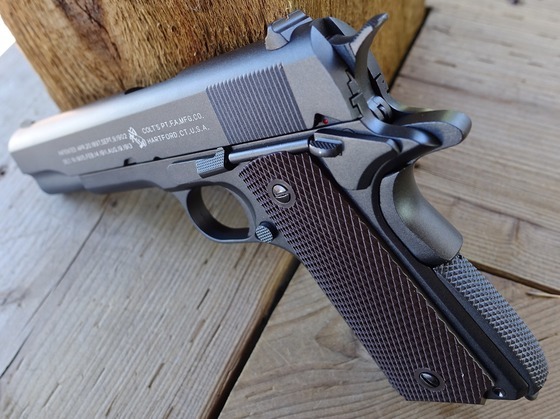 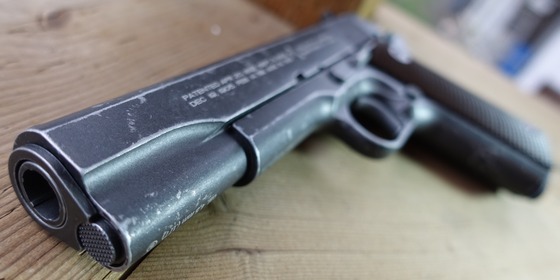 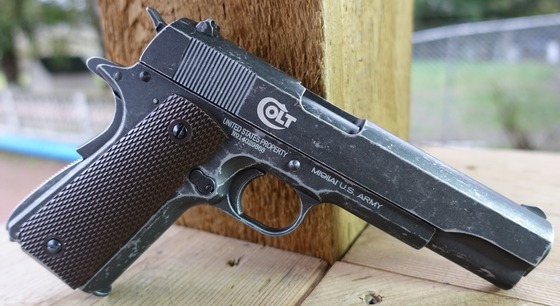 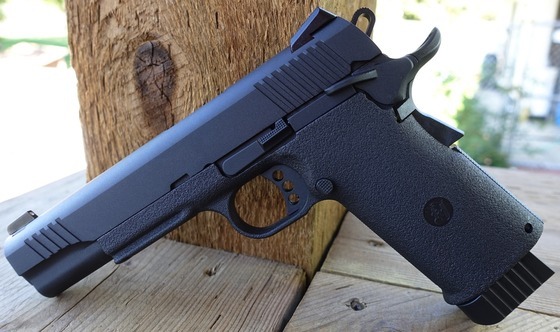 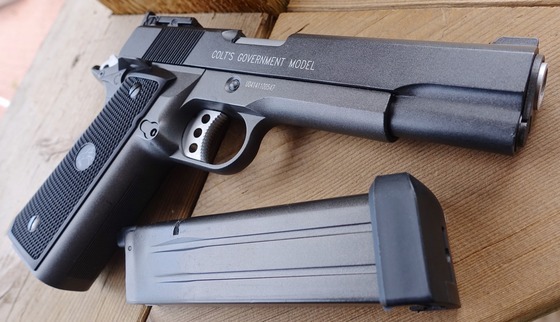 Trigger Pull: The trigger pull on the Umarex Colt Government 1911 A1 is extremely nice in both single and double action mode with the single action having the lightest pull making it a joy to shoot at targets. 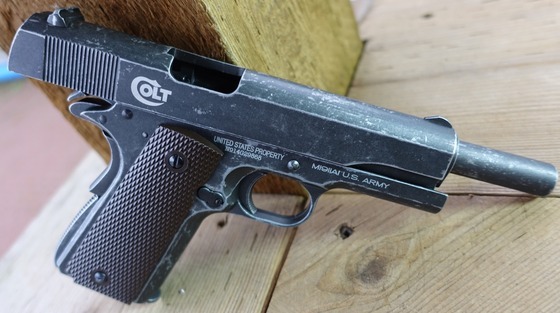 Accuracy: I shot this air gun at a target from 20 feet away in a free standing position, and it performed excellent getting just over a one inch grouping close to the center of the target, just a little bit high. 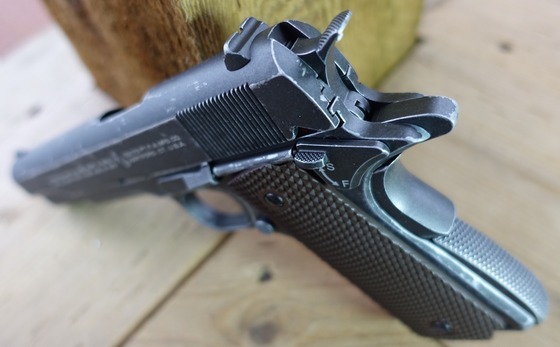 The sights can be adjusted for windage if you are shooting a tad bit to the left or right. 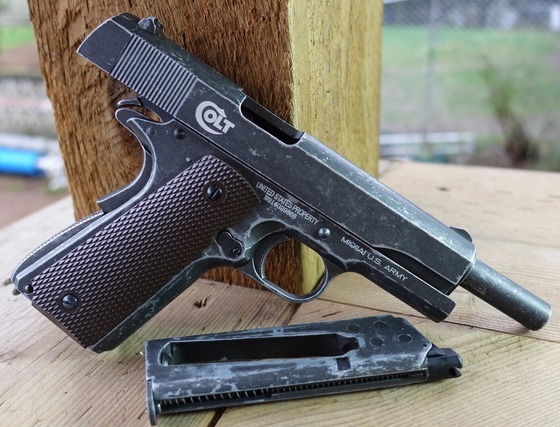 My Chrony testing with an eight shot averaged result was 383 fps. 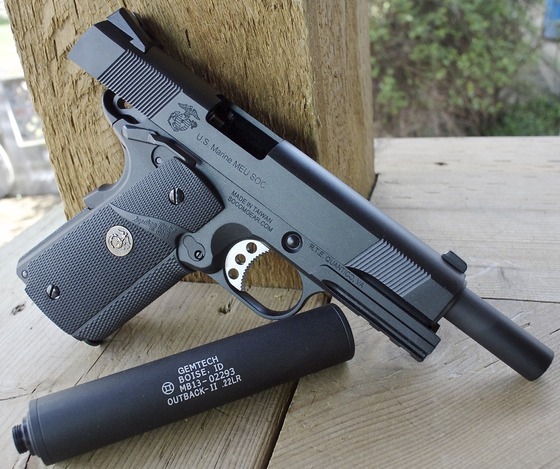 Build Quality: This is an almost all metal air gun with great fit and finish and a nice hefty 2.5 pound weight to it. 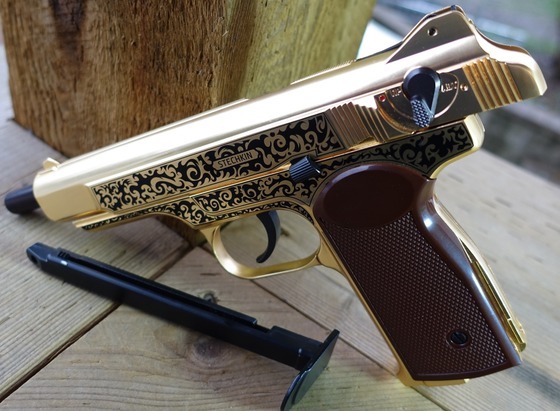 It's made in Germany, what more do I need to say? 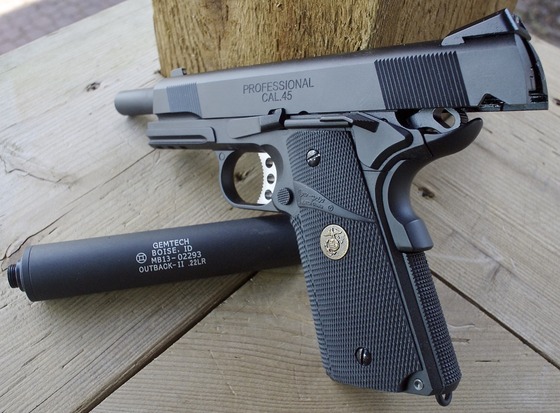 The only plastic parts to speak of are the grips which almost feel like a mix between rubber and plastic. 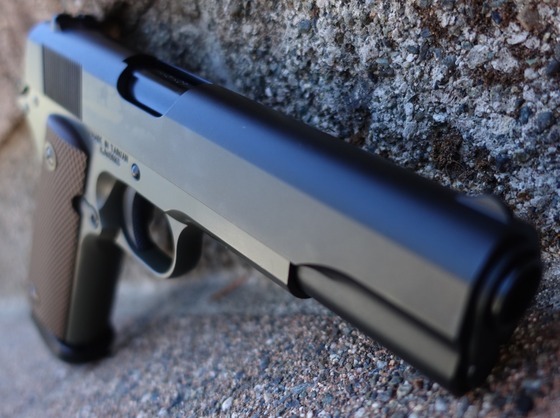 All the mechanical parts opperation are as smooth as butter. 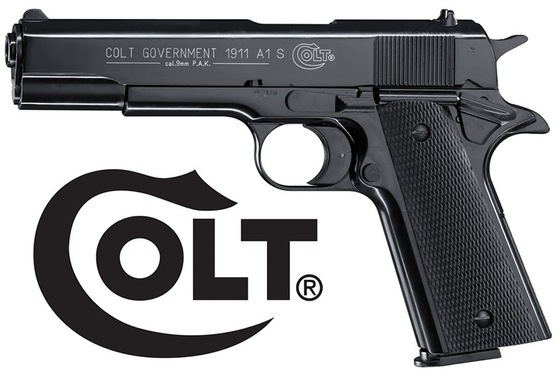 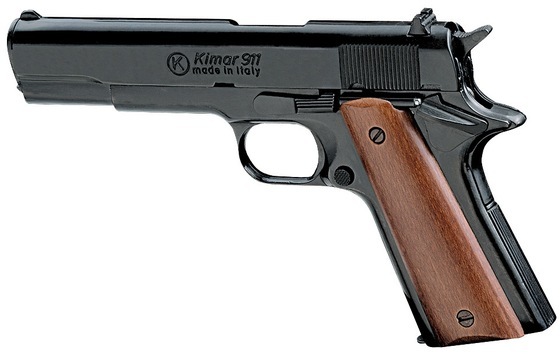 Realism: The Umarex Colt Government 1911 A1 is a licensed replica of the real Government Colt 1911 A1 45 auto pistol. 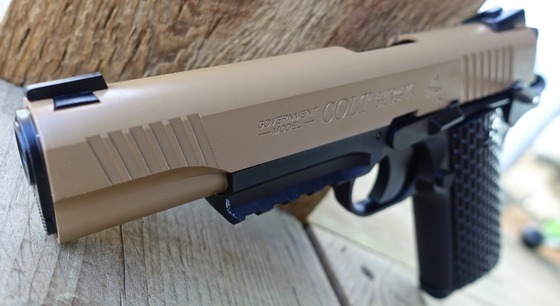 It looks pretty much bang on with the exception of the slight break in the slide where the rotary magazine is accessible. 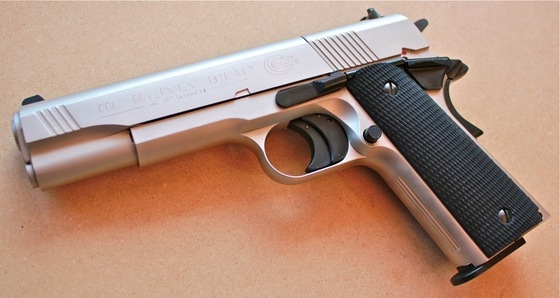 Almost all metal construction - good weight and very solid feeling gun - 2.5 pounds! 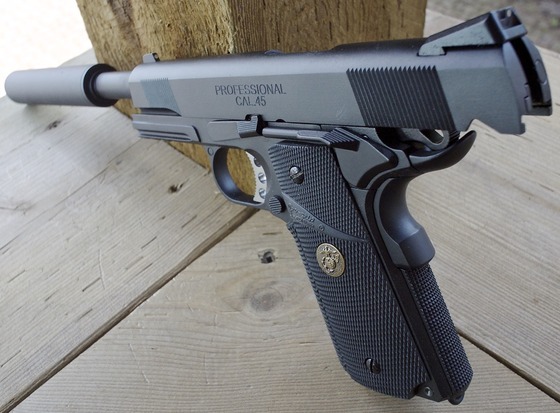 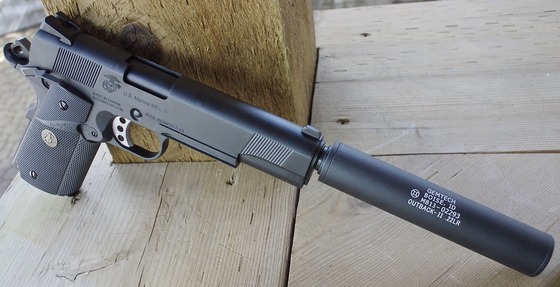 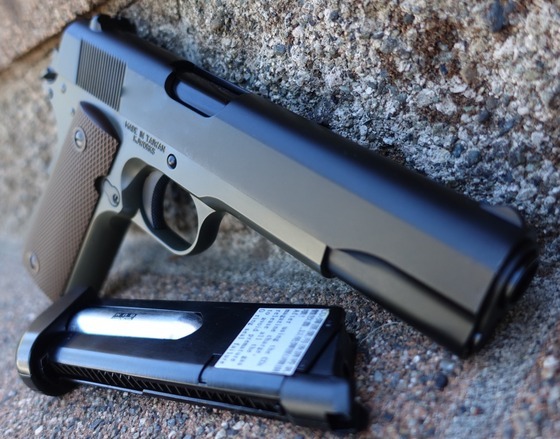 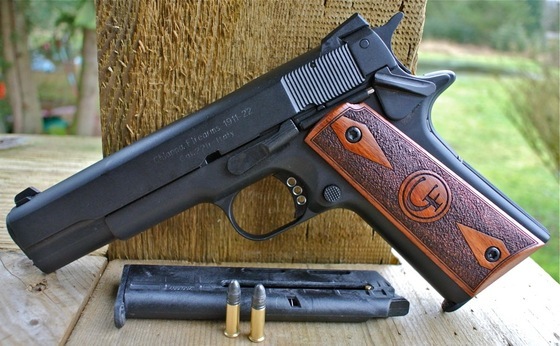 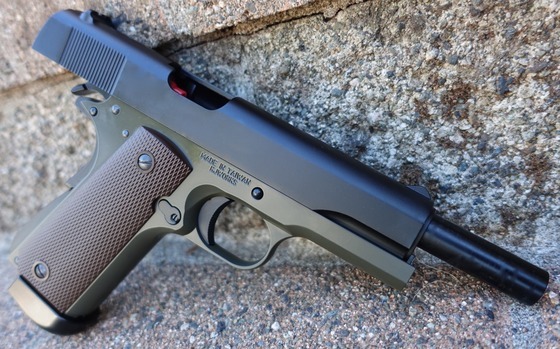 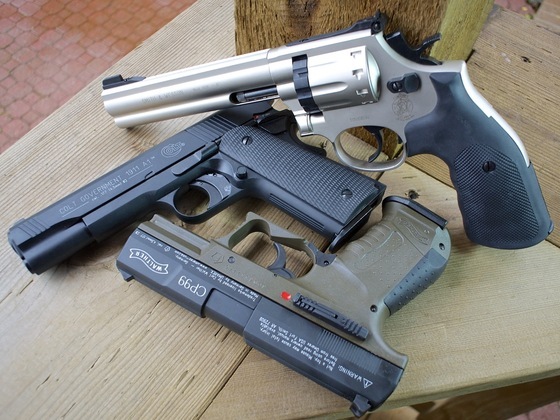 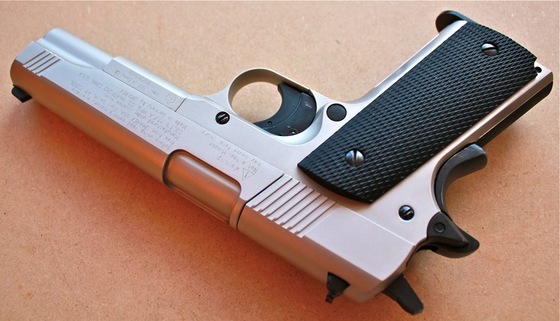 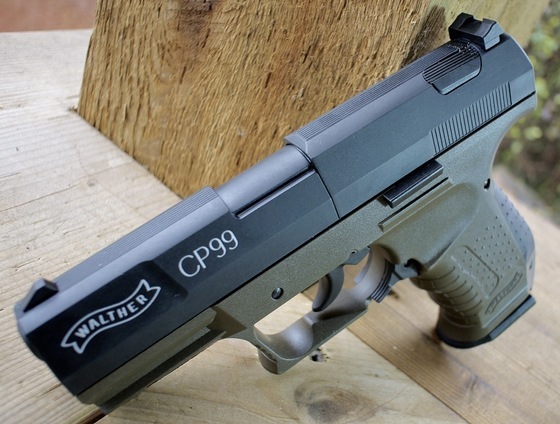 Very nice looking gun with the two-tone Nickel and black finish. 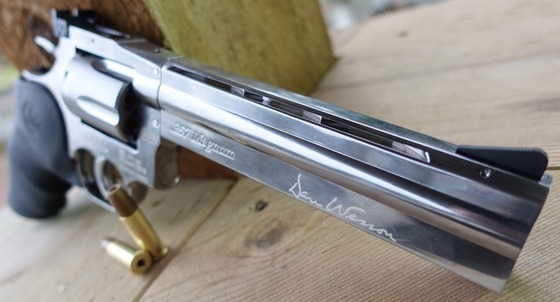 Double and Single Action, very smooth and light. 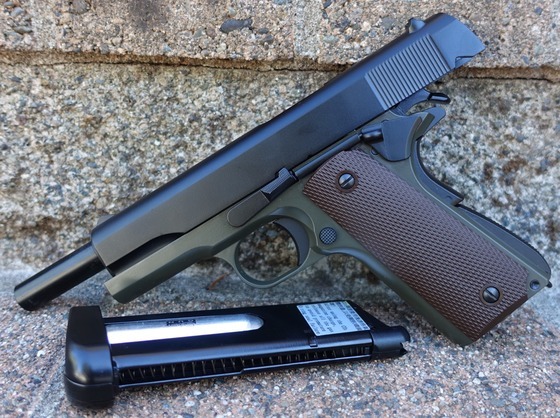 A bit on the pricy side $200+. 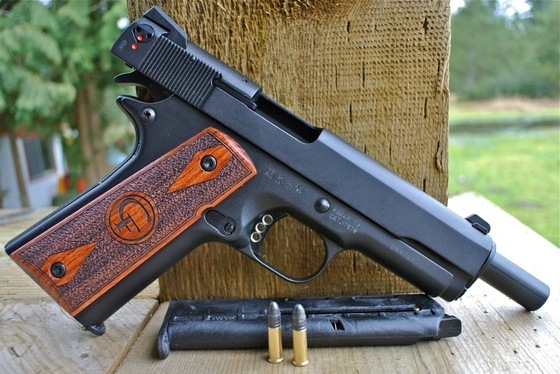 The sights are a bit hard to see on certain darker backgrounds. 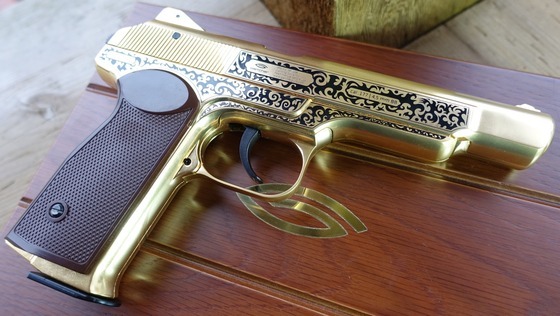 The engravings on my airgun where a bit hard to see. 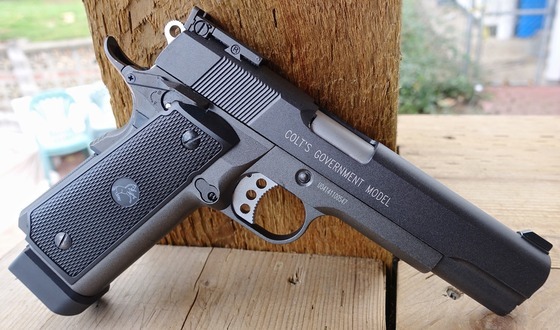 The Umarex Colt Government 1911 A1 is a pleasure to own and shoot, you can really tell this is a quality gun from how smoothly it operates and the confidence it gives you even just holding it in your hands. 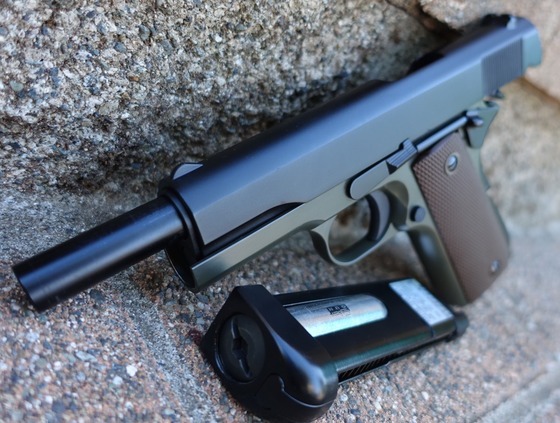 This well made airgun has been around since the late 90's and even today holds it's own. 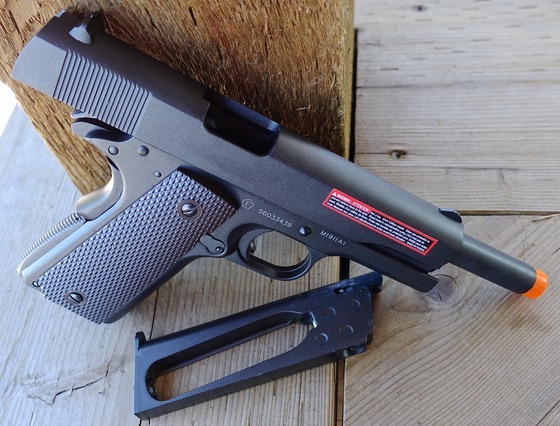 It may not have a working blowback design or drop out magazine but as far as being a top notch airgun made for shooting and enjoying for years to come, it definitely succeeds in that category.